Work on Nelson Residence Hall will add air conditioning, improve accessibility, enhance student lounges, and include cosmetic updates to all the rooms. January 14, 2019 | 4 p.m.
Nelson Residence Hall, Bethel's oldest residence hall, is set for interior renovations this summer. When Nelson Hall opened in 1968, students on campus knew it simply as “the new dorm.” By the time the class of 2023 arrives at Bethel in August, students will again be talking about Nelson like the new dorm on campus. Nelson, Bethel’s oldest residence hall, is set for a summer makeover to enhance community lounge areas, improve accessibility, add air conditioning, and bring cosmetic updates to all the dorms. “It will look and feel brand new,” says Associate Director of Planning and Projects Mike Lindsey. Funding for the multi-million dollar renovation project comes from a bond refinancing. Nelson's three student lounges will see some of the most significant renovations. The goal is to create community spaces where students meet, form relationships, and grow with each other. 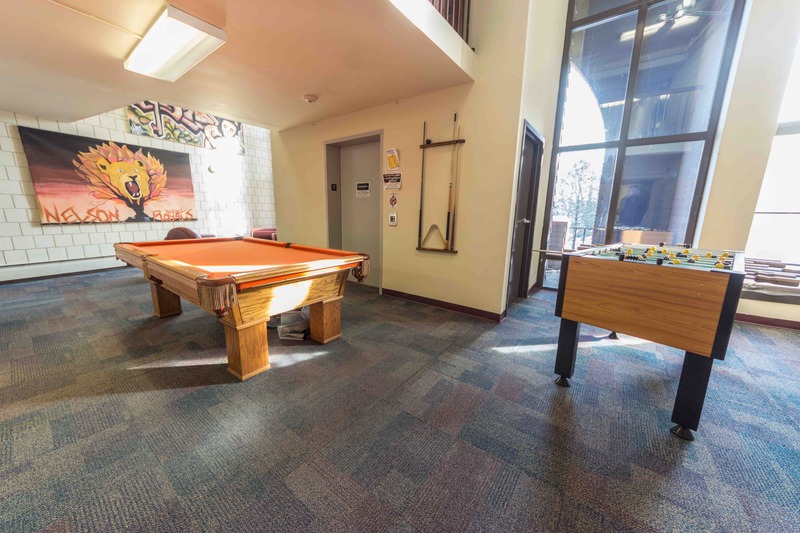 “We’re really trying to provide enhanced community spaces that promote and support what Residence Life is trying to accomplish in the lives of students,” Lindsey says. Some flooring and pillars will be altered to provide open-concept lounges, and a stair tower and multiple water bottle fill-stations will be added. Another stair tower will be moved to enhance traffic flow throughout the building. The updated lounges will feature an open kitchen, along with recreational space and quieter zones for studying. Nelson’s shack—a community space where students gather each night—will be completely redone. “It’ll be night and day from what it is now to what it will be,” Benjamin says. A current lounge area in Nelson Residence Hall. This summer the interior space in Nelson will be renovated, including the lounge areas. Nelson’s makeover will include cosmetic enhancements to all of Nelson’s dorm rooms, including paint, carpet, and light. Students will also enjoy new desks, desk chairs, loftable beds, and dressers. Bathrooms will also be updated and feature improved accessibility. “If you’re living in Nelson now and you come back in September, you will see a complete transformation,” Benjamin says. After the renovation, Nelson Hall will look more like Bethel in 2019. “We hope when students or prospective families walk into the newly transformed Nelson Hall, they'll feel like they just walked into their Bethel home for the next year,” Lindsey says. 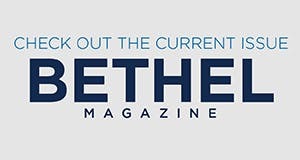 The updates will feature Bethel’s color palette of blues, yellows, and grays along with Scandinavian-inspired design elements often used on campus. This includes natural materials like wood and stone used to bring the natural world inside. The building-wide heating and cooling system will feature independent temperature controls in each room. The addition of air conditioning will allow Nelson to be rented to visiting groups during the summer. 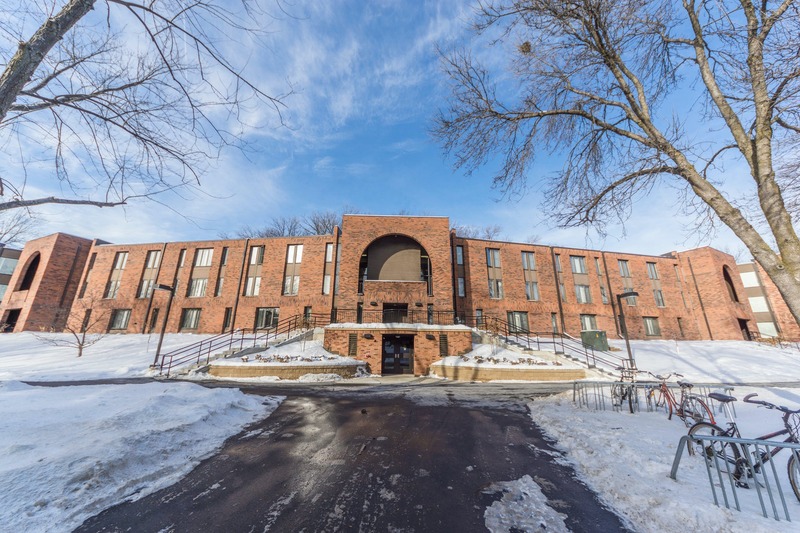 Nelson remains the largest of Bethel’s four freshman residence halls with 200 beds, and it stands apart as the only traditional freshman hall not located on Freshman Hill. But it is centrally located and is the closest residence hall to the Brushaber Commons, which serves as a main hub of the university. The project will start after Memorial Day and be completed when students arrive on campus in mid-August. The work will be the third major renovation in Nelson’s history. The hall was expanded in 1995 to add 12 suites that house six students each, though one is now a staff apartment. The front entrance, front steps, and landscaping were updated in 2013. More than 300 current and former residents of Nelson gathered in October over Homecoming to celebrate the hall’s 50th anniversary. The celebratory atmosphere carried across campus, as the hall won 2018’s Homecoming Hall Spirit Award. 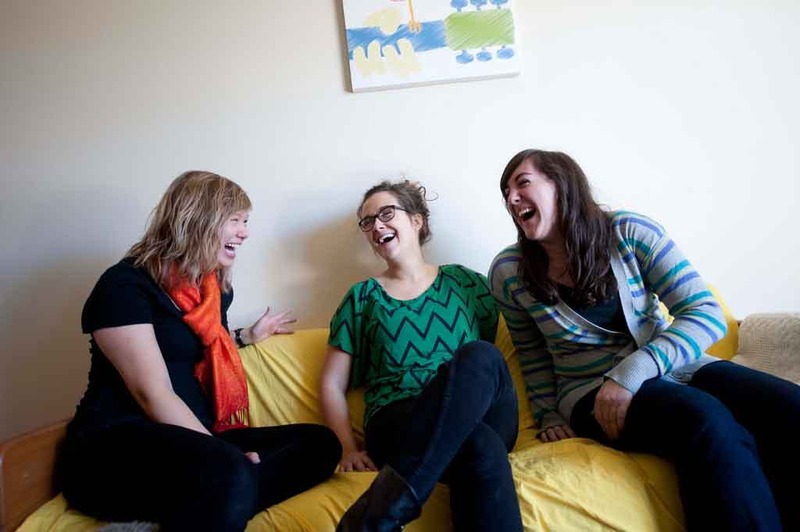 At Bethel, living on campus is convenient. But it's also about sporting residence hall pride at the Homecoming Cheer. It’s about painting the rock in the middle of the night. It’s about living steps away from a lake, a frisbee golf course, and a nature trail. And it’s about hanging with friends and doing life together.